Al Gore wants Africans to manage their population. Can’t have too many Africans mucking up the planet, now can we? Like most white Liberals, they are secretly concerned about the proliferation of black people. Liberals realize they have created black monsters. Whether it’s an African dictator in Zimbabwe (or America), or having black thug Liberals doing their dirty work, one thing is clear: black people are out of control, and Liberals plan to do something about it. Speaking at the World Economic Forum in Davos not long ago, former Vice President Al Gore asserted that it’s crucial for global philanthropists to impose “fertility management” on Africa. Fertility management? Has Gore ever asked for fertility management in Sweden? After Gore said this, the condemnation by the NAACP was deafeningly silent! 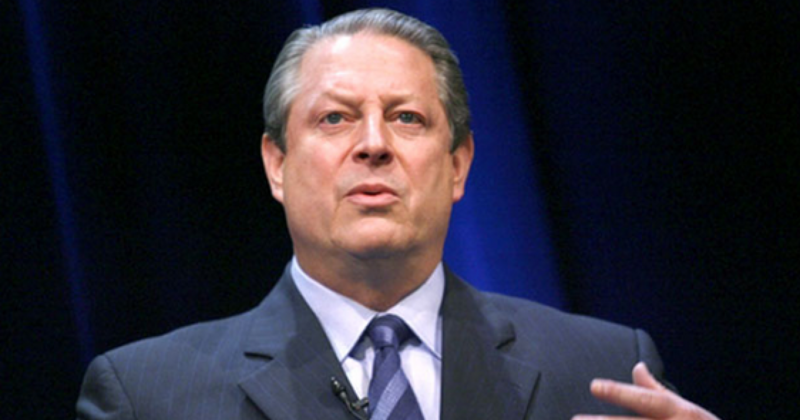 Did the Congressional Chocolate Caucus declare Gore a racist? We can’t have more BLACK PEOPLE, now can we, Al! So what if Africa has more people than Asia! That represents a problem for Gore? YES! And let me tell you why. Because Gore sees no hope for Africans. For Liberals like Gore, Africa is a wasteland, with far too many…well, Africans. And they are not civilized, which is why they fight all the time. Can’t have a bunch of crazy African-Americans running around with no jobs and no hope, now can we.